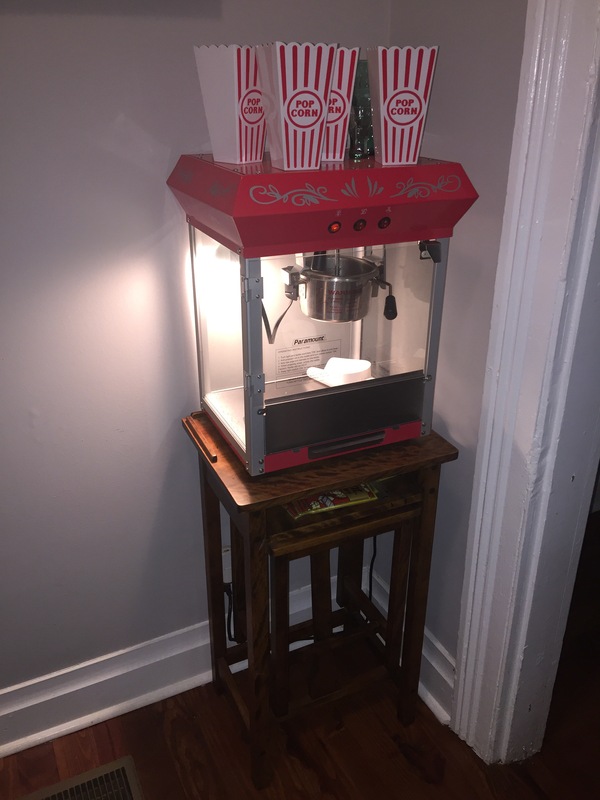 The Super Bowl is on and we have a popcorn popper in our awesome vacation home. They knew I was coming! It’s not just the popper but it’s fully stocked with the movie popcorn kits, including the oil, popcorn, and flavor packs. Oh, and the cute popcorn buckets! Oh, oh, oh, and the Coke shaped glasses for my ice cold Coke!